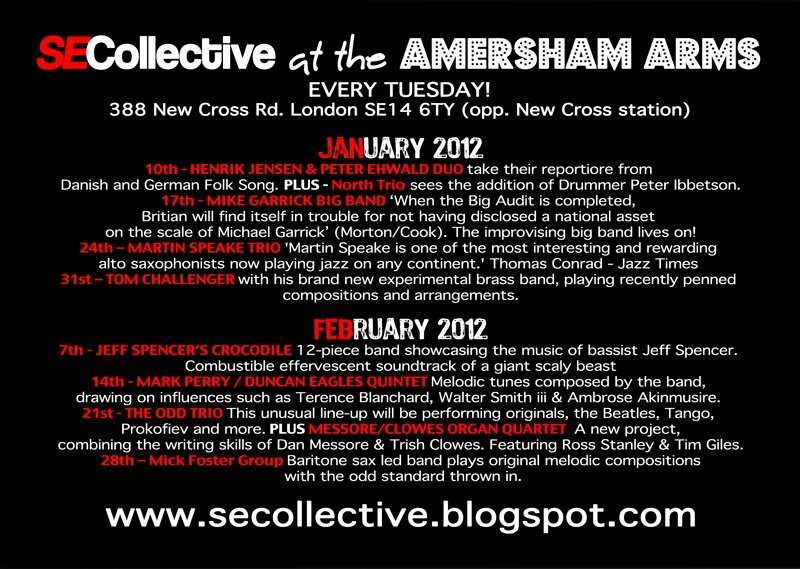 SE Collective: January and February Listings! 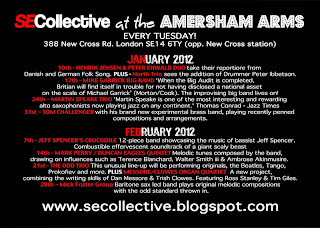 January kicks off with a visit from German saxophonist Peter Ehwald and Danish Bass Player Henrik Jensen. They are launching their new duo record on MUSIC CHAMBER RECORDS.